THURSDAYS WITH ADOLF: Edgy comedy taking place in an unspecified future where two terrible teens, and best friends, come of age when forced one summer to work for an awful elderly man who ends up teaching them about life, art, and women…and turns out to be Hitler in disguise. TONE: Always Sunny in Philadelphia meets Her. 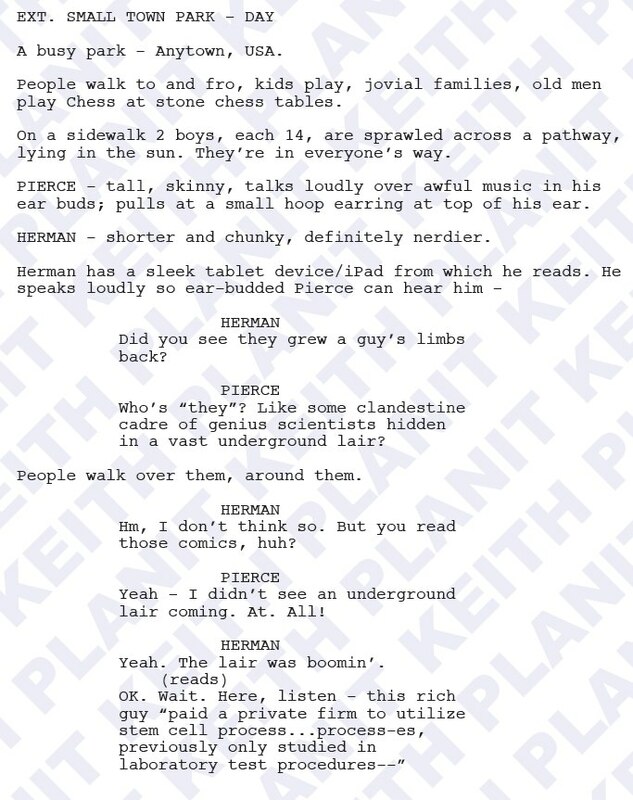 Two scenes: First, the opening scenes of the script where the two boys meet the mentor (“The Old Man”). Then, another scene where they’re following him home, discussing the merits of The Old Man’s (i.e., Hitler’s) environmentalist ways. Several months prior to the premiere, I reached out to John Oliver’s people for a shot at a writing post on his HBO series. They sent me a submission packet. The packet requested: Two “headline news” segments (national & international news); also requested were two outlines for more-detailed segments (which could include roving reporters, video, and so on) covering same. I was given about 36 hours to conceive, write, edit, and submit all of the below. And it was December 30th. Sooo…yeah…no pressure. In spite of what I think is some very strong — and sharp — satire, I didn’t make the cut. According to a contact it was due to my lack of TV credits, but the work was passed up the ladder one by one to the very top.